A rabbit’s diet should consist mainly of hay and be supplemented with vegetables and pellets. Rabbits are herbivores (they eat plants), and they typically graze on hay, grass, leaves, herbs, and weeds in the wild. As a pet, hay is a great way to mimic their natural diet and provides many essential nutrients. Rabbits can also eat vegetables (preferably dark, leafy vegetables), but these should be in moderation in comparison to hay. And, just like humans, a wide variety should be provided to ensure that your rabbit is getting adequate nutrition. Their diet can also be supplemented with a small portion of pellets and occasional treats (like fruits, nuts, and seeds). Therefore, it is generally recommended to feed your rabbit as much hay as they want, a small daily salad (consisting mainly of dark, leafy vegetables), a small portion of pellets, and occasional treats). One of the reasons that hay is so important is because of how rabbit digestion works. Unlike humans, rabbits do not have constant stomach movement (called peristalsis) to help move their stomach contents through their digestive tract. This means they are very susceptible to GI stasis (which is where the digestive tract either slows down or stops completely). Not only does this cause gas, bloating, and pain, but it can lead to stomach blockage (which is often deadly for rabbits). It is one of the more common problems with pet rabbits (due to humans incorrectly feeding them). To digest their food properly (and to prevent blockage), rabbits need to consume a lot of fibrous plant material (such as hay and grass). This helps keep their stomach moving properly. Now that we know how their digestion works let’s look at a more detailed breakdown of what rabbits should eat. Remember that rabbits should mainly eat hay and supplement with vegetables and pellets. Fruits, seeds, and other treats should be limited. Since hay should be the primary food in your rabbit’s diet, let’s talk about it first. Hay should ideally be a dark green color (which indicates that it is higher in nutrients and more freshly cut). Try to avoid hay that is dark brown (which indicates that it is lower in nutrients and less fresh). Also, try to avoid any hay that looks like it has a lot of dust or mildew (there are hay varieties that are marketed as being dust-free). No one wants to eat dust or mildew, not even rabbits! Since hay is so important to a rabbit’s diet, rabbits should have unlimited access to hay all day long. If you are trying not to waste food, you can start by providing a bundle of hay that is the same size as your rabbit (once it has been fluffed up and taken out of the bag). Then you can add more as needed. If you notice that your rabbit is not eating a lot of hay, this could be because you are overfeeding other foods. If your rabbit loves sweets (especially sweeter vegetables or fruits), then hay is not going to seem as appetizing. Think about if you munched on potato chips all day, then you probably wouldn’t have much room for dinner (and healthy food would seem less appealing). While this would be delicious, it is an unhealthy way of eating. Try reducing other foods, or even hiding the hay. 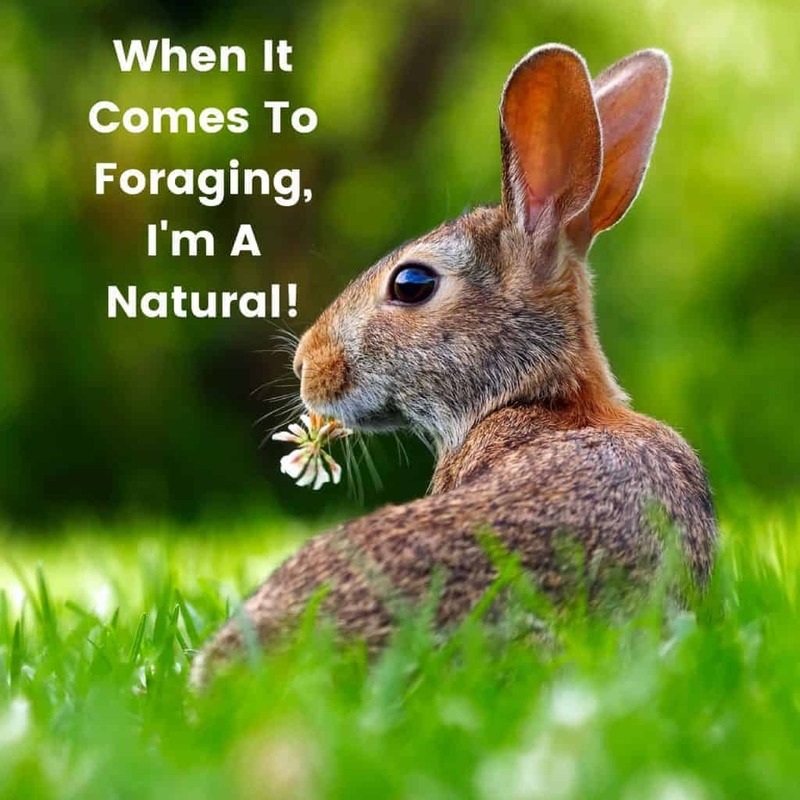 Rabbits are exceptionally inquisitive and love to forage for food (this is what they would do naturally in the wild). This may spark their interest in the hay. Not only is hay very nutritious and helpful for rabbits’ digestion, but it helps to keep them occupied (a bored rabbit is one that chews on everything) and helps to wear down their teeth (we mentioned the dangers of long teeth earlier). A general recommendation is that at least 80% of your rabbit’s diet should be hay. Vegetables also play an important part in a rabbit’s diet. Just like hay, most vegetables contain high amounts of fiber which is beneficial for their stomach movement. Rabbits should be fed a small portion of vegetables daily. Think of it as a daily salad. However, most of the vegetables that a rabbit should be eating should be dark, leafy vegetables (like kale), and there should be less starchy vegetables (like peas). Another important part of feeding your rabbit vegetables is variety. In the wild, rabbits would have a huge variety of vegetables throughout the year, and this must be mimicked as closely as possible. You should aim to give your rabbit at least five different vegetables daily. You should also try to rotate those five vegetables daily (so do not give the same five vegetables every day if possible). More variety equals more nutrients for your rabbit. Also, in the wild, rabbits do not typically eat root vegetables (like carrots or beets), so these should be given less often than dark, leafy vegetables. Root vegetables also have a lot more sugar than leafy vegetables and can result in tooth decay (so they should be treated more like treats). 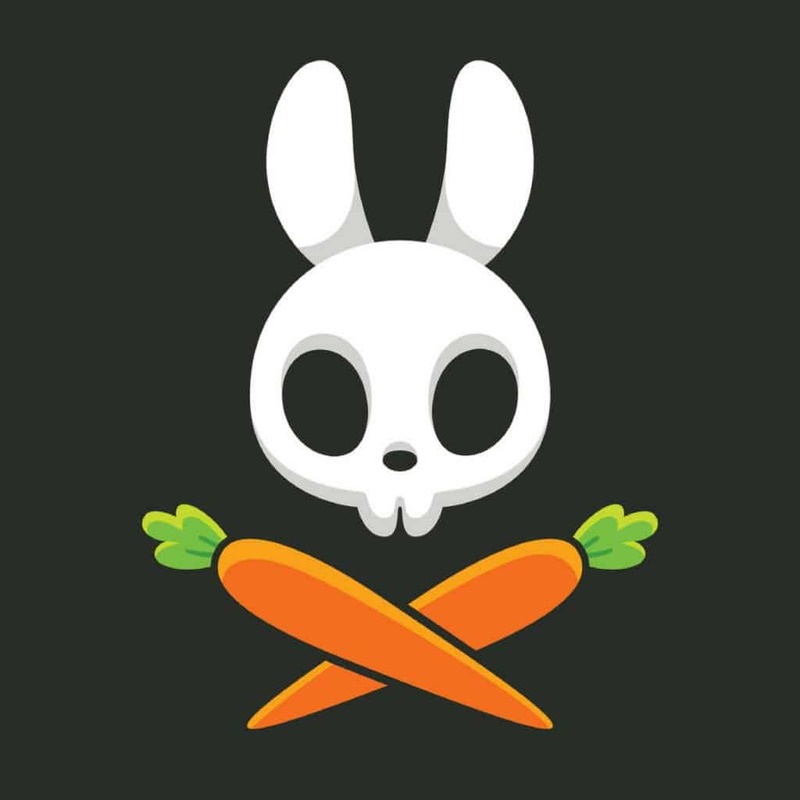 Did you know that according to the RSPCA (the Royal Society for the Prevention of Cruelty to Animals) 11% of all pet rabbits have tooth decay resulting from eating too many carrots? Also, it is important to wash any vegetables that you feed your rabbit. Any residual pesticides or chemical fertilizers left on them may make your rabbit ill. Keep in mind that you would want your food to be thoroughly cleaned before you ate it. A general recommendation is that your rabbit’s daily salad should be about half the size of your rabbit (or less). Pellets are highly concentrated food sources for rabbits (like protein shakes). Most consist of compressed grasses that are mixed with various chemicals. They can be very beneficial because they help to ensure that your rabbit is meeting all their nutritional needs (especially if they are underweight or very young). However, you do not want to overfeed your rabbit pellets! This is a common problem with new rabbit owners, who think that more is better. This can lead to digestive issues as well as obesity, and while fluffy rabbits are adorable, they shouldn’t be too fluffy if you get my drift (this can lead to obesity-related diseases). Another common misconception is that rabbits only need pellets to live. This is not true! Pellets were invented to fatten rabbits up and help them grow quickly back when rabbits were commonly grown for their fur (and for food). Therefore, their main benefits are weight gain, providing nutrients, and being a convenient food source. They do not provide everything your rabbit could ever need (they are not a magic pill). Also, many pellets are extremely high in protein (more than is necessary) and may contain grains which can cause severe bloating. Therefore, pellets should not be the main portion of your rabbits’ diet. Instead, they should help supplement their diet (in small portions). Try to think of pellets as the tv dinner of the rabbit world: they are quick, easy, and filling, but you shouldn’t eat only them. A good way to tell if pellets are not agreeing with your rabbit (or if you are feeding them too many) is to smell your rabbit’s urine (yes, seriously). If your rabbit’s urine smells like ammonia (think of the smell of a cat’s litter box), then something is probably not right. Always consult your veterinarian if you have any concerns. Remember better safe than sorry! A general recommendation is to feed your rabbit no more than one egg cup (yes, really) of pellets for every 1 kg (2.20 lbs.) of your rabbit’s body weight (an egg cup is 25 grams). This category is primarily for fruits, seeds, nuts, and commercially sold rabbit treats (all of which should be given in moderation). Also, starchy vegetables like celery stalks should really be considered treats as well (due to their high sugar content). All of these “treats” typically are either too high in sugar (like fruits and starchy vegetables) or too high in protein and fat (like nuts and seeds) for rabbits to eat all the time. However, that doesn’t mean that you can’t ever give your rabbit any of these foods. 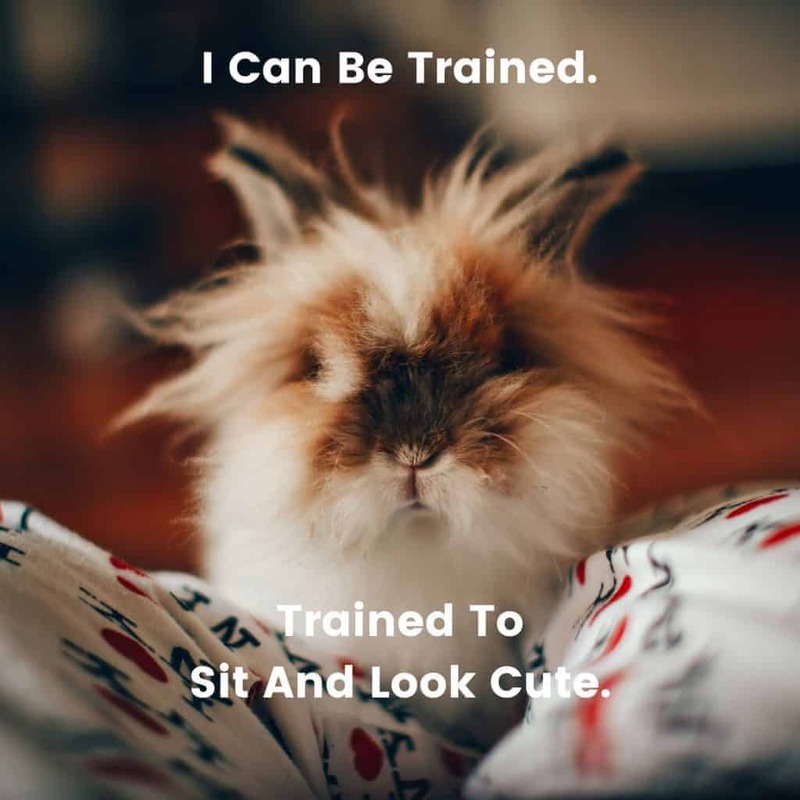 Treats are an excellent way of training your rabbit (yes, they can do tricks) or even just a nice surprise now and then. It’s just important that you don’t overindulge your rabbit because that can lead to diseases (like tooth decay and diabetes). Another key part of your rabbit’s diet is water. Rabbits need access to clean, fresh water 24/7. There are two options when it comes to providing water for your rabbit: drip feeders and bowls. Drip feeders (which look like large hamster water bottles) often hold more water and do not tip over easily like bowls do. However, some rabbits do not like them (because this is not the natural way that they would drink in the wild). Bowls tend to hold less water and can easily tip over. However, many rabbits tend to like them (due to how they mimic a rabbit’s natural way of drinking). Make sure to get sturdy bowls (like ceramic) that your rabbit cannot chew through or tip over as easily (like plastic bowls). Whichever one you choose (it comes down to personal preference really) is up to you. You can even use both if you prefer! A general recommendation is to change your rabbit’s water at least twice a day.